Over the final 12 days of 2018, each day we took a look back at the year for each WNBA team, reminiscing over some of the best moments from the past season and looking ahead to the upcoming year as well. 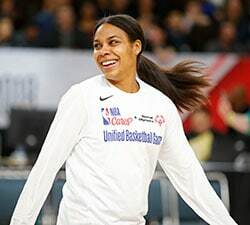 The Atlanta Dream caught fire in 2018, from Tiffany Hayes half-court game winning shot to an epic 5-game WNBA Semifinals run. Check out the best from their last year. 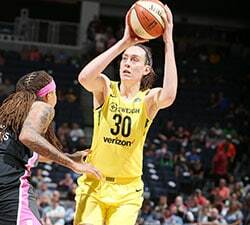 From Allie Quigley’s historic All-Star 3-Point Contest performance to Courtney Vandersloot breaking the single-season assist record, take a look back at the Sky’s 2018 here. From Shekinna Stricklen’s game-winning three to starring performances from the Thomas duo, relive the Sun’s 2018 here. From Liz Cambage’s record-breaking 53-point game to Skylar Diggins-Smith setting another franchise record, recap the Wings’ 2018 here. From Kelsey Mitchell’s must-see handles to Candice Dupree’s 6,000th career point, look back at the Fever’s 2018 here. From the Aces first game in their new home to A’ja Wilson’s Rookie of the Year performance, take a look back at the Aces’ 2018 here. 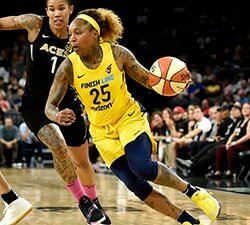 From the Sparks’ opening night where Chelsea Gray drained the game-winning shot against the Minnesota Lynx in a 2017 Finals rematch, the stage was set for another incredible season. Check out the best moments from their 2018 season. 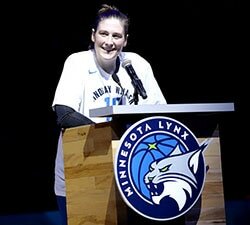 From hosting their first-ever All-Star to Lindsay Whalen’s farewell, relive the Lynx’s 2018 here. "One day, maybe you're gonna be like one of these amazing ladies." From Kia Nurse’s rookie record 34-point game to Shavonte Zellous’ game-winner, recap the Liberty’s 2018 here. Between Diana Taurasi’s clutch and historic performances and an epic #WNBAPlayoffs run, the Phoenix Mercury’s 2018 was one for the books. Check out their year in review. 2018 was the year of the WNBA Championship for the Storm, who brought home title No. 3 to Seattle. Check out the road to winning it all this past year. Washington Mystics had a huge 2018, culminating in their first-ever WNBA Finals appearance. Take a look back at their historic year.